Shelter has a wide variety of definitions. It can range from emergency housing or basic accommodations, to luxurious mansions. 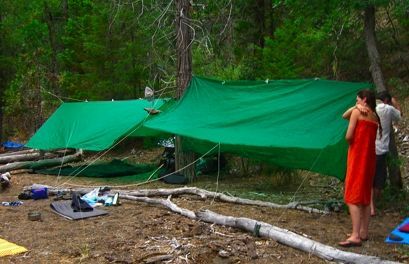 Keeping warm and dry is the goal of the most basic shelter constructions in wilderness or rural settings. Caves, lean-tos, tarps, houses, sheds, tepees, snow houses, and cardboard boxes have all provided shelter to people and animals. "A comfortable house was once made here," said Thoreau, "almost entirely of such materials as Nature furnished."